In Aarhus, Denmark, the Center for ADHD invites parents of young children with ADHD or related behavioral difficulties to attend the Incredible Years® Parent Training program at no cost and with no need of referral or diagnosis. And this approach works! 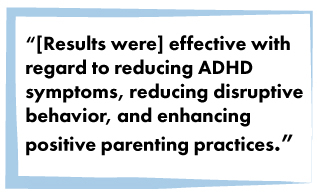 The Center for ADHD was founded in 2010 by Agnete Kirk Thinggaard, a MsO psychologist and member of the LEGO family, who wished to reduce long wait lists for diagnostic evaluation and increase easy access to parenting support for families of young children struggling with ADHD or related behavioral difficulties. Agnete Kirk Thinggaard also serves on the board of Edith and Godtfred Kirk Christansens Foundation, which supports the center. The staff at Center for ADHD consists of a secretary and six psychologists who, in addition to conducting The Incredible Years® Basic program, train and supervise teachers, day care providers, education and social workers and others working with children with ADHD or related behavioral difficulties. Center for ADHD is continually collaborating on research projects carried out at the Aarhus University. 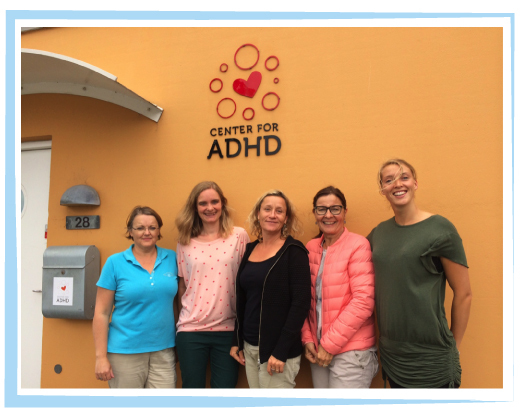 The staff at the Center for ADHD, saying hello from Denmark! Trillingsgaard, Trillingsgaard, & Webster-Stratton (in press). Scandinavian Journal of Psychology. Click here to read article. Webster-Stratton, Reid & Beauchaine (2011; 2012): Click here to read article. Categories: Guest Blogging, Incredible Years, News, Research | Tags: ADHD, Agnete Kirk Thinggaard, Carolyn Webster Stratton, Center for ADHD, Children, Families, Parents, The Incredible Years | Permalink. Wally, like many young children, loves to play outdoors. 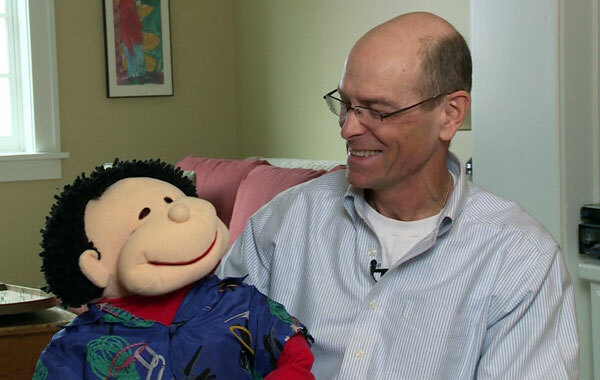 In this series about promoting healthy activity in kids, we’ll follow Wally as he tries out for different sports, and also consider the benefits of exercise and outdoor play for children. You may remember when Wally and the whole puppet gang decided to start exercising back in October (if not, refresh your memory by clicking here!). We shared an article that showed how the Incredible Years programs had been linked to healthier outcomes and lower rates of obesity. You can read that article here. In Part 1 of this series, let’s consider some of the benefits of exercise, sports, and outdoor play for children. With summer on it’s way, this is a great time for families to start planning play time outside all together! Spending time playing together outside fosters family bonding and helps children see how physical activity can be fun. Especially for younger children, try not to impose rules but instead allow them to be child-directed and explore different sports and games. You can bring a variety of options to the park and try out some different games like tag, kicking the ball around, or playing catch. This sort of play promotes hand-eye coordination and motor skills, and it can also be a wonderful way to foster your child’s imagination and creativity, allowing him/her to explore new things. Another benefit is helping children see how exercise can come in many different forms and be enjoyable. It promotes a healthy, active lifestyle, and gives children a way to release energy! 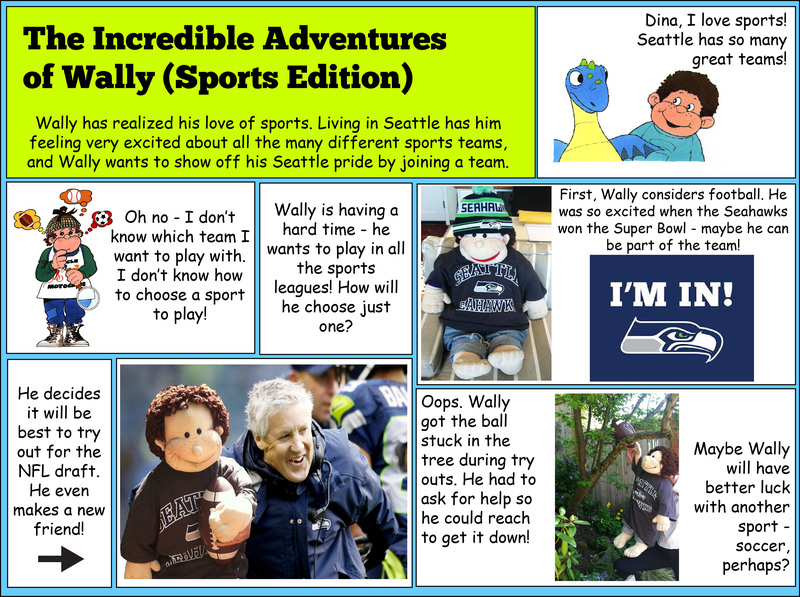 Check back next week – Wally will continue making the rounds of Seattle sports teams, trying to choose which one is right for him! Categories: Exercise Series, Incredible Years, Just for fun | Tags: child health, exercise, Families, Football, Incredible Years, parenting, Seahawks, Seattle, Sports, sports edition | Permalink.